The Volumetric Efficiency of a Pump refers to the ratio of the total ouput of the pump to the total output of the pump without losses. It can also be described as the ratio of the theoretical flow of the pump to the actual flow. The theoretical flow of the pump can be calculated from the pump design data. The theoretical flow of the pump is the product of the displacement per revolution and the number of revolutions. The actual flow is measured by a flow meter which is connected to the pump output. For instance if the displacement per revolution of a pump is 120cc/ rev and the pump has a speed of 1000 rpm, the theoretical flow rate would be 120x1000 = 120000cc or 120 litres per minute. 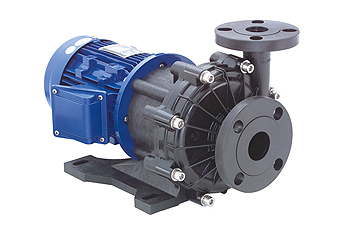 The volumetric efficiency can be reduced by reducing the leakages from the pump.